A new school year is beginning for high school students ... and with it, a new year of opportunity for Cru Omaha to be part of God's heart for high school students. We have the privilege of being part of what God is doing on nearly ten campuses in our area, and there are more opportunities on the horizon. All of these opportunities call for many volunteers. Our part as Cru High staff is primarily to listen to and follow God in what He is doing, and to connect with those who are being called to partner with us in sharing God's love and forgiveness with the high school students in this area. Our Cru High staff team is small ... two full-time staff, and one part-time staff. But we are blessed to have nearly 25 volunteers who serve and love students on our eight campuses where we are presently active. And there are more campuses that can be opened to Cru if more volunteers are available. The key component is PRAYER, as we connect with God's heart, and as we depend on Him. This is a key time of year on our campuses as a new school year is beginning. 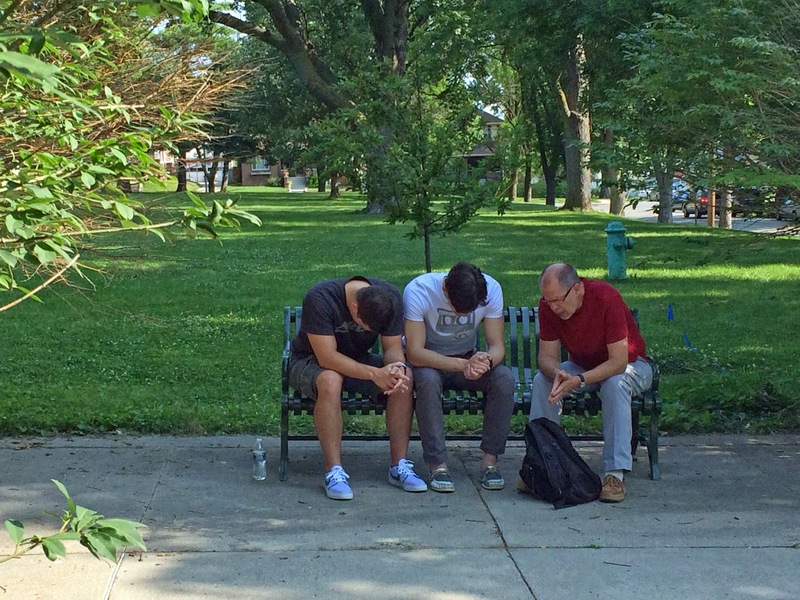 Would you join with us in praying for God's direction in leading us to more volunteers ... and for a fruitful year of harvest on the high school campuses of Omaha and the surrounding areas? Is it really nearing the end of summer break for students already? 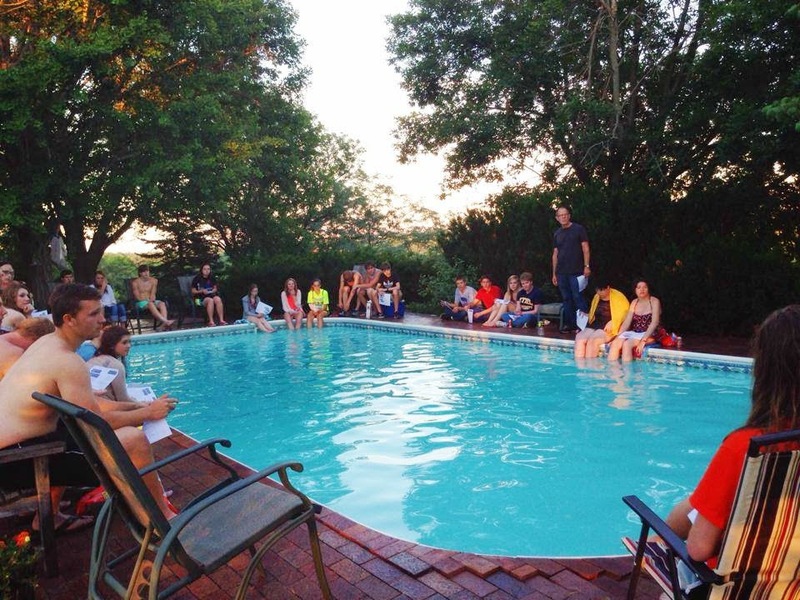 The Cru students of Fort Calhoun and Blair have continued with weekly meetings throughout the summer, holding a joint weekly meeting with their two campuses. On August 4th they gathered at a home outside of Fort Calhoun for their grand finale of the summer. 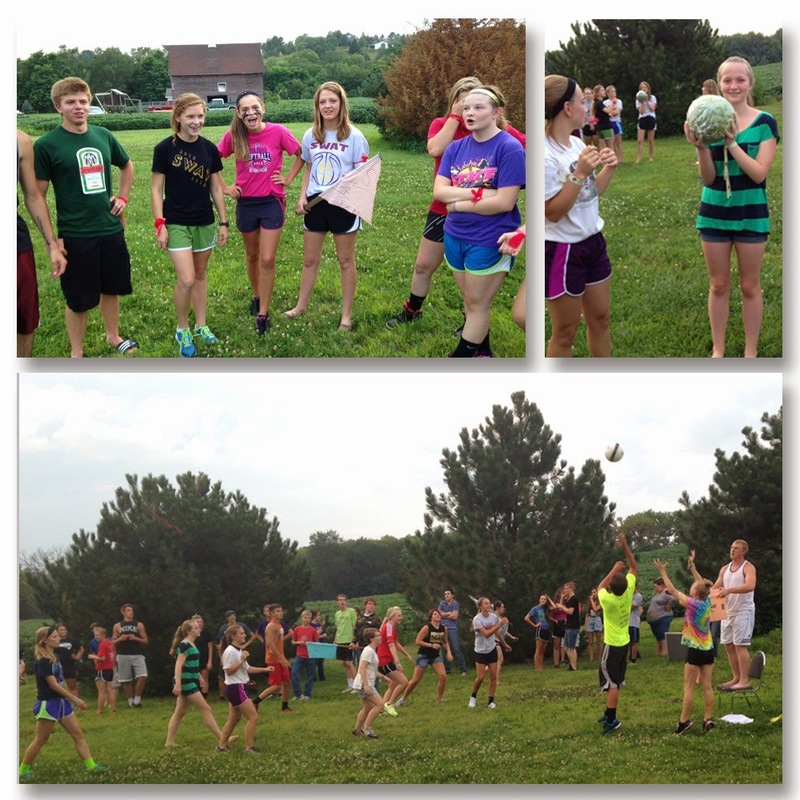 There was fun competition between the teams with a variety of crazy and challenging games including greased watermelon toss, bucket ball, and pudding drop. Our college volunteers led much of the evening, under the leadership of our great part-time staff guy, Jake, with his wife, Chelsea. 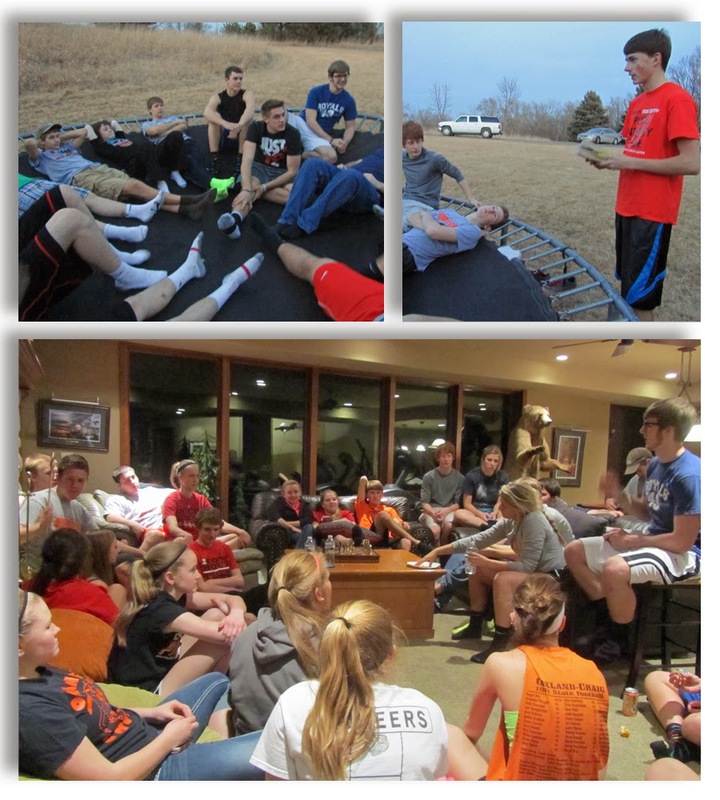 The evening ended with all the students gathering together for some life-giving inspiration. Two of our students shared with their peers ... one, the story of his coming to know and follow God, and the other, an interesting life application of something that God had taught her while on a missions trip earlier in the summer. Jake finished off the time with a clear sharing of the Gospel. Next week these students from Blair High, and Fort Calhoun High will be headed back to school. Jake is making plans for another year of Cru Blair, meeting on campus each Monday evening. And Gary will be meeting with the student leaders from Fort Calhoun High this next Monday as they finalize plans for another year of Cru for Fort Calhoun High students. Please pray for a fun and fruitful year for the students from both of these campuses ... that those who know Jesus will grow in their faith, and that many more students will be impacted by the love of God. We had a very special treat the beginning of May when two out-of-state Cru staff traveled to our area to spend some time with us and our Cru Omaha team. A huge blessing to have Benton (from Dallas), and Kevin (from NYC) here in our area from May 4-6! Our time with them started with a staff and volunteer gathering in our home the evening of May 4th. It's always hard to get all of our volunteers together, as they are scattered around the area, helping with Cru at nine different schools ... while also being involved in their own full-time jobs. But what a special evening to have a portion of them together in our home for the evening, sharing and interacting together and with our visiting Cru staff. Our volunteers are an integral part of what God is doing on each of our campuses - they are an amazing group of people with a passion for reaching students. Benton and Kevin gave us valuable input during their visit, and were able to be part of several campus meetings. And the insight they gained from being here will reap benefits in the months to come, as they assist with advice and input from a distance. Most Monday evenings during the school year you'll find two amazing Cru volunteers pouring their lives into junior high girls in Fort Calhoun. Donna and Diane have been serving as volunteers with us for quite a few years now, and even though their own children are grown and on their own, they continue to give of their time and energy to love students. They make a great team as they share with these girls about God's love for them, using fun, interactive ways to communicate God's Word. Donna and Diane and their girls on a movie night to see "Son of God"
A few of their activities this school year: a fun fall party ... "cleaning out the yuck in the pumpkins like God cleans out the yuck in our hearts, so our lights can shine brightly for Him", serving as bell ringers for the Salvation Army, participating in a special Easter focus "Journey to the Cross", and many more. And the main focus, as always, has been to help these girls come to know Jesus personally and follow Him in every area of their lives. Early this school year they celebrated together as one of the girls made the most-important decision to follow Jesus as her Savior and Lord. It has been a year of growth for her, as well as for the other girls who meet together. They recently held their last Monday night meeting for this school year, and Donna and Diane are praying that they "might be able to stay in touch with the girls over the summer and that they will continue to walk with God while they are away". It has been a fruitful year as girls have come to know Christ and have grown in their faith. Donna shares, "The girls have opened up their hearts to us this year in beautiful ways and they have been there for each other during difficult/trying times." Do you remember your junior high years? How thankful we are for all the impact and encouragement that these girls are finding during these junior high years that can be difficult years in many ways for students. And decisions made at this time can impact them for the rest of their lives. Please pray for Donna and Diane, and for the girls that God is leading to them ... for their connections over the summer, and for more girls to come to know and follow Jesus during the next school year. 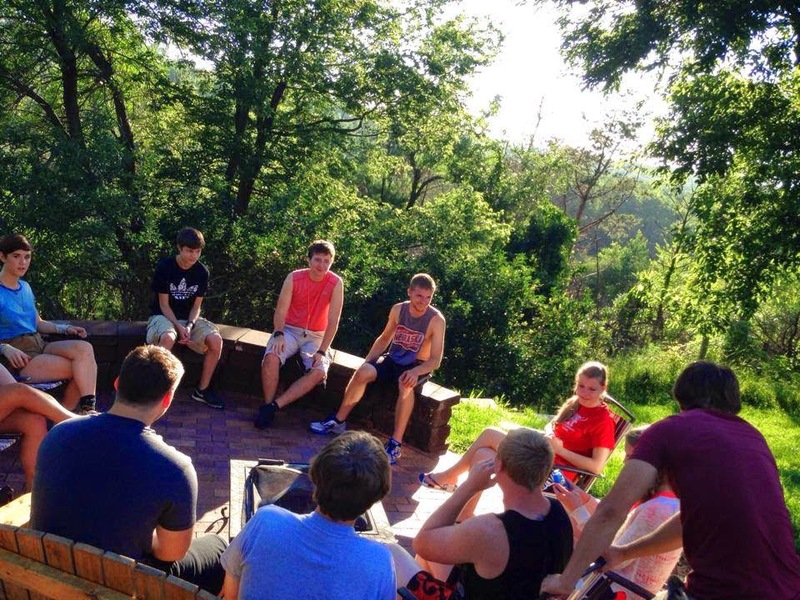 Our Cru High meetings will look different during the summer months than they have during the school year. For a number of years now, we have held a different format for our student meetings during the summer - something we have called "Summer Venture". 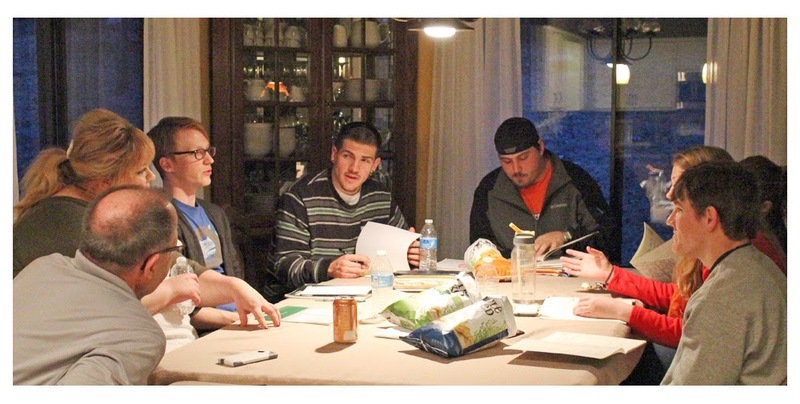 Our first planning meeting for Summer Venture was held on March 18. Jake, our amazing part-time staff guy, called together a few of our young adult and college volunteers, as well as a few student leaders, to begin planning for this coming summer. Instead of holding separate student meetings for each of our Cru campuses, we will be holding one joint area meeting for all the students together during the summer months. 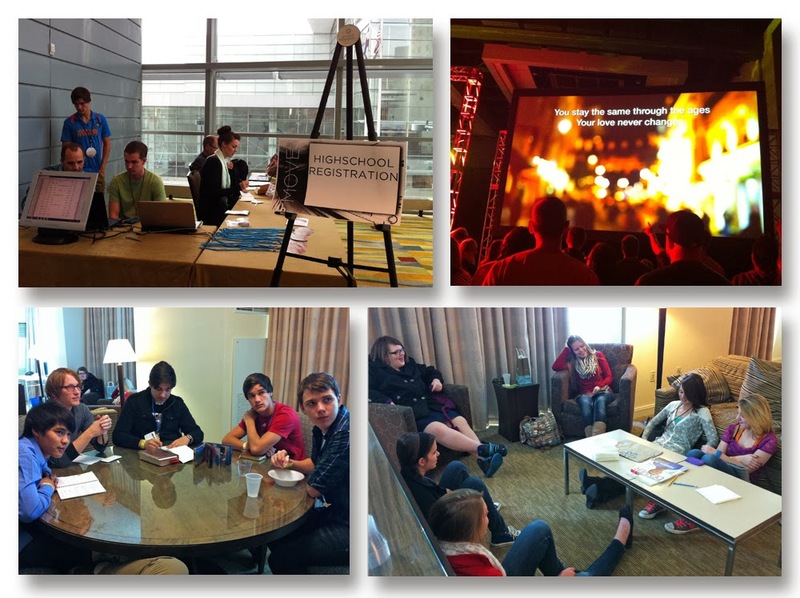 Pulling students together from the various campuses for encouragement, inspiration, and fun. Jake has done a great job during the past few summers, as he has equipped and coached our college volunteers to have a major role in leading our summer meetings. Please pray for Jake as he heads this up, and also for our college volunteers who will be taking a major leadership role during the summer months. It's the perfect opportunity for them to gain more experience in leadership, and it's a great help for us as staff for them to help in this way while they are on summer break from their college classes. The student leaders for Cru Fort Calhoun came up with idea of holding a special event where they would focus on inviting new Freshmen students. 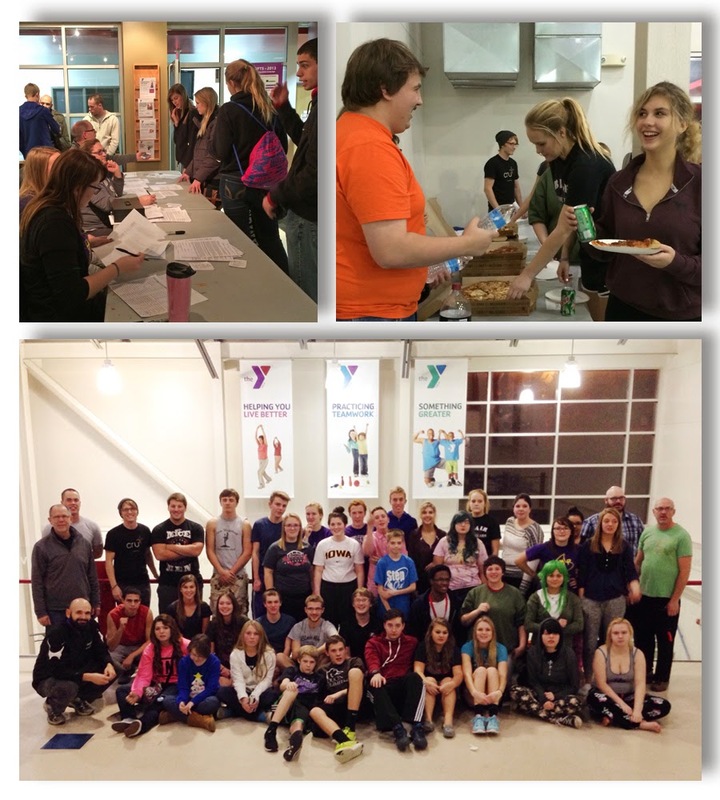 They came up with the idea, and they did the planning for a fun event held Monday evening, March 10th! Then everyone gathered together indoors again, and our college leader, Josh, clearly shared the Gospel. (See bottom photo.) Please pray for the new students who came that night, and for many more students at Fort Calhoun High to come to know Jesus. 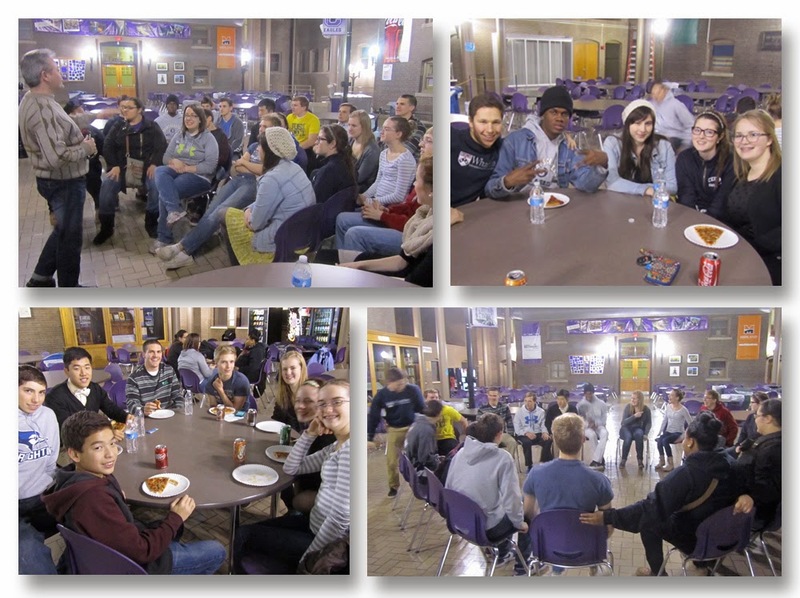 Cru Central held it's first student meeting on campus on Feb. 27! Our student leaders recently received permission for Cru to be recognized as a school club, also giving them the privilege of holding meetings right on campus! It was an amazing evening! Our young adult leaders, and also our student leaders did a great job of connecting with the students who came. The students loved it all - the games, refreshments, and the special speaker from Belarus as he shared about living for Christ in a country which is not open to the Gospel. Please pray for the next Cru Central meeting to be held on campus - Thursday, March 27. We are finishing out this school year with the plan of meeting on campus once each month, in addition to the other weekly meetings held off-campus. Please pray for many Central High students to come to know Jesus. 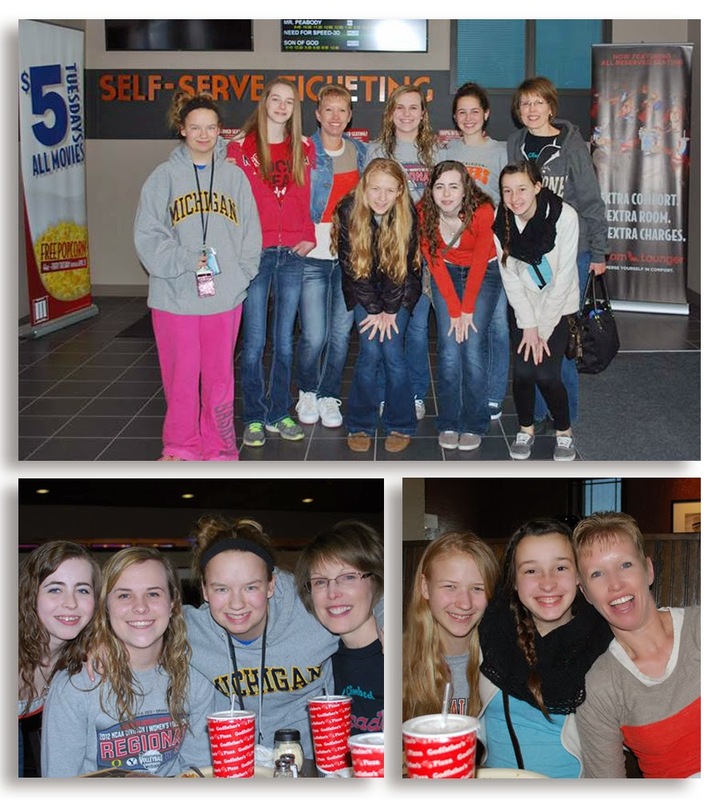 Volunteers are an essential part of Cru Omaha! We are grateful and blessed to have nearly thirty volunteers helping with Cru movements on campuses in our Omaha area. These amazing adults give of their time amidst their own work or college schedules, as they love and serve the high school students in our Cru High groups. 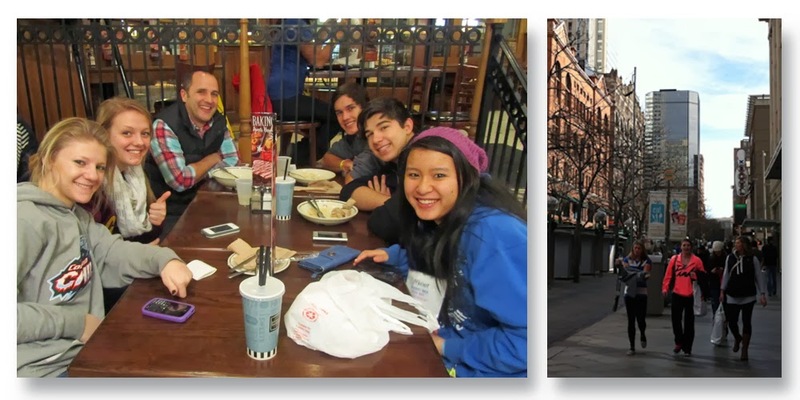 The photos above are of the group of young adult volunteers who run the Cru Central High meetings and events. We all go to the same church, Citylight, and meet as one of Citylight's City Groups, with the focus of reaching students at Central High for Jesus. Several times a month we meet for encouragement, inspiration, and fun. And food, of course! These volunteers, together with a Central High staff person, and a few gifted student leaders make up a great team. And it takes a team to reach out to a campus. We are so grateful for these who are following God's direction and giving their time and energies to be part of what God is doing in the lives of high school students. Tomorrow will be a big event for Cru Central High in Omaha - our first on-campus meeting will be held! 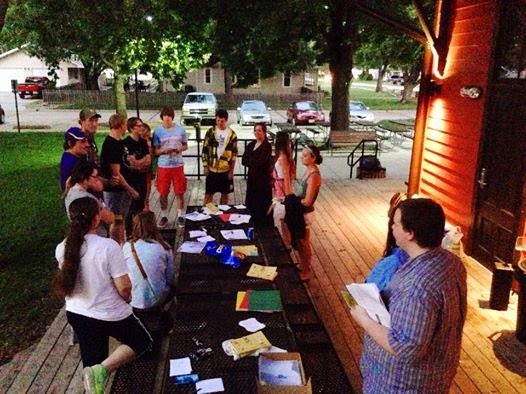 Our student leaders recently gained permission for Cru to be a school club on their campus! We will hold a special event meeting on campus one week each month, in addition to the regular meetings held off campus on the other weeks. If you know students at Central High, please invite them to come to the Central High Courtyard tomorrow, Thursday, Feb. 27, 6-8 pm. There will be GAMES & PIZZA, and an opportunity to interact with a special speaker from Belarus, and hear of his culture & his faith in God.